The newest English version is from Rio Grande Games and it comes with the first edition of the first German expansion included in a slightly oversized box. One difference in the contents, however, is that bean #22's Weinbrandbohne (Brandy Bean) was replaced by the Wachsbohne, or Wax Bean. 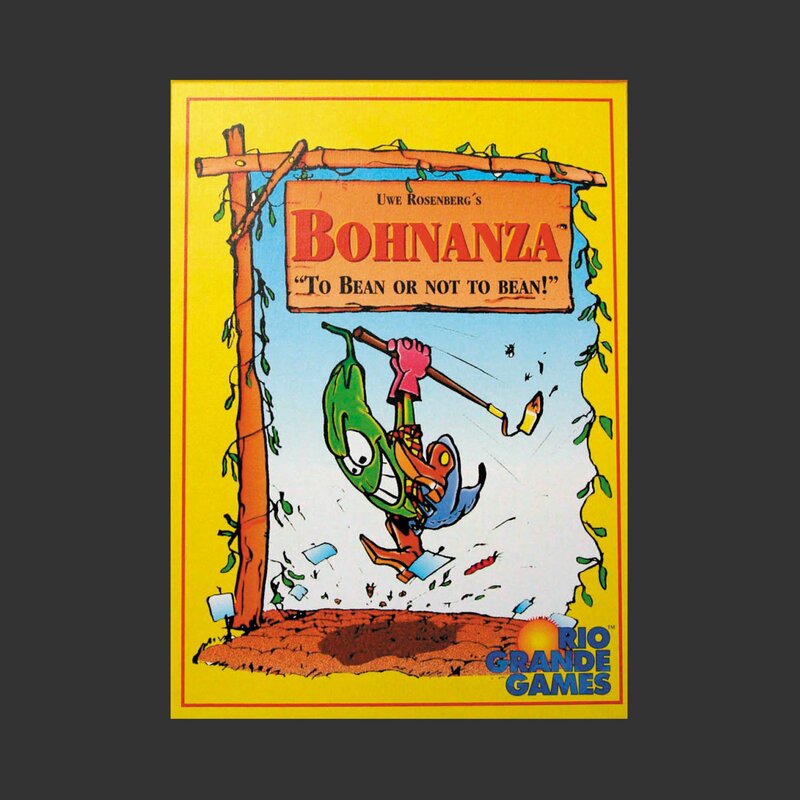 This edition includes rules for up to seven players, like the Erweiterungs-Set, but also adapts the two-player rules of Al Cabohne in order to allow two people to play Bohnanza. Note: As mentioned above, the Rio Grande Games edition supports more players than the Amigo release, and also sports two-player rules. You should keep that in mind when perusing the ratings.